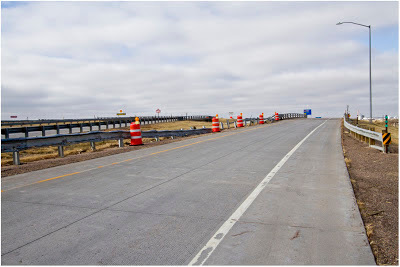 LIMON – The Colorado Department of Transportation (CDOT) will close the off-ramp from westbound Interstate 70 to U.S. 40/287 at Exit 361 in Limon this week to repair about 150 feet of guardrail damaged by a semi-truck that ran off the road this weekend. Exit 361 is the second of Limon’s three I-70 interchanges. The westbound ramp will be closed on Wednesday, Thursday and Friday (November 28 – 30) from 9 a.m. until 4 p.m. While the ramp is closed, drivers can use the east Limon exit - #363 or the west Limon exit - #359. The westbound on-ramp from U.S. 40/287 will remain open while the off-ramp is closed. Lane closure information about this and other projects is available at www.coloradodot.info/travel/scheduled-lane-closures.html or by calling 511. To receive project updates via e-mail, visit www.coloradodot.info and click on the cell-phone icon in the upper right-hand corner. The link takes you to a list of items you can subscribe to, including I-70 East, Denver to Kansas. Thanks for good post.wonderful road,nice picture.